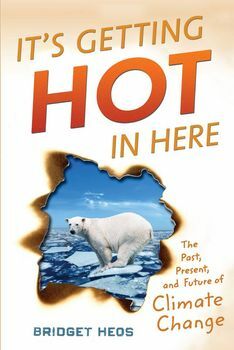 It’s Getting Hot in Here illustrates how interconnected we are not just with everyone else on the planet, but with the people who came before us and the ones who will inherit the planet after us. This eye opening approach to one of today’s most pressing issues focuses on the past human influences, the current state of affairs, the grim picture for the future and how young readers can help to make a positive change. Tackling the issue of global warming head on for a teen audience, Bridget Heos examines the science behind it, the history of climate change on our planet, and the ways in which humans have affected the current crisis we face.